If you give a normal person a list of five things to do, they will get started with the first thing on their list. If you give a stress eater a list with five things to do, they will get started by running to the refrigerator. Eating becomes a way to deal with procrastination, fatigue, and powerlessness. After all, a big part of stress is really just a belief that you are completely powerless over a situation. Eating is the immediate response to the stressor. It’s the thing that stress eaters go to when they feel powerless over the stress. 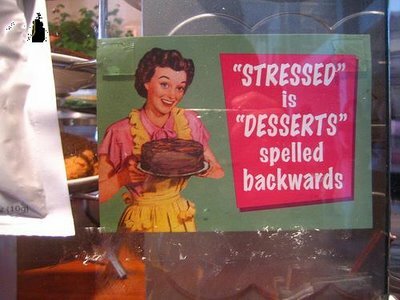 So, how to stop stress eating? Stop! Think about the source of your stress. Is this something that you can control? Figure out what you can control. If there is nothing that you can do about the situation, you might simply have to accept it and all the consequences that come with it. Are you stressing about something that hasn’t happened yet? Stop. Don’t live in the future or in the past. All that exists is the moment. Make the best choice that you can for the given moment. 1. )Organize yourself, figure out exactly what to do and execute a strategy for getting things done. If you are not good at this, ask a friend who is good at this stuff to help you. 7. )Call a friend and talk out what is going on with you. 14. )Do some volunteer work– get out of your head by helping some other people out. Serve food at a soup kitchen, volunteer to play with kids at a homeless shelter, walk dogs or play with cats at the local animal shelter. 17. )Call a much older relative or friend. The advice of people older than you with so much more life experience can be incredibly valuable. 21. )Walk around the block then attack your to do list. 22. )Promise yourself a non-food reward for every thing you cross off your list, such as 10 minutes to zone out on the internet. 26. )Find something to break, like sticks or branches you find outdoors.Rip up an old tee-shirt. Anything that can feel cathartic and release some tension. Just don’t hurt anyone. 27. )Relax your jaw. Your jaw is the strongest muscle in your body and because of that, you hold a lot of stress in it. Massage your jaw muscles and try to relax them. 45. )Go for a good run! 49. )Slowly inhale to the count of 5 then exhale to the count of 5. Do this for 5 minutes. Coming up Next— how to deal with the things that you actually CAN change, but somehow can’t find the will to. 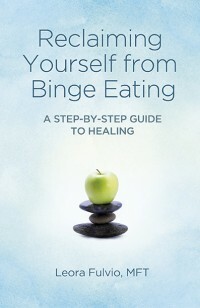 Posted in: binge eating, eating disorder, emotional eating, recovery, Stress Eating, triggers. Tagged: binge eating disorder, binge eating help, binge eating therapy, compulsive overeating, dealing with stress, eating triggers, healing from binge eating, help for binge eating, how to deal with emotional eating, how to deal with stress eating, how to let go of stress, how to stop stress eating, powerlessness, serenity prayer, stop compulsive eating, stop emotional eating, stress eating, tips to deal with stress, tips to stop stress eating. I really enjoyed your list. Crying is actually a great suggestion that I would not have considered… but sometimes a “healthy cry” really helps! Very well done!